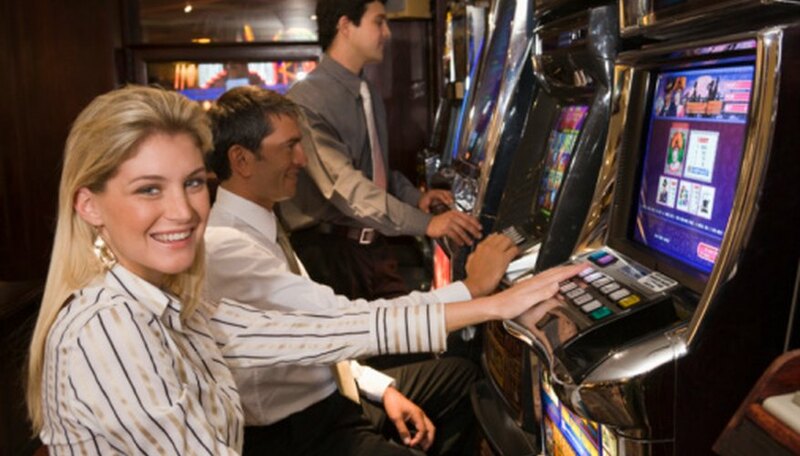 Slots are ubiquitous in most casinos, as thousands line the floor of many gaming areas. Although the odds are stacked more against the player at these machines than in the casino table games, slots offer the chance to win a large amount of money while risking very little. While you will not win most of the time when you play the "one-armed bandits," you can increase your chances of winning by heeding some advice. Slot machines that tend to pay out a great percentage of the coins wagered in them are often called "loose" by gamblers, while those who pay out less are referred to as "tight." The problem is that you cannot tell by looking at a machine how "tight" or "loose" it is. There are some tricks to finding looser slots, however. In the U.S., the state gaming commission usually reports the payout percentages for various locales. The slots in downtown Las Vegas, Nevada pay out more than the ones on the Strip, for example, so you stand a better chance of winning if you play on Fremont Street. Higher denomination machines also are "looser," so you are more likely to win at a dollar slot than a penny slot. On many slot machines, you cannot win the jackpot unless you wager the most number of coins on each spin. Check the rules on each machine to verify the jackpot requirements. You can easily bet the maximum number by pressing the big "Bet Max Credits" button that is found on many slots. If following this procedure will make a big dent in your bankroll, consider moving down in denominations. Some states link together progressive slots across many casinos. A prime example are the Megabucks machines in Nevada. These machines have one unified jackpot that grows until one lucky customers hits it. These jackpots regularly grow into the millions of dollars. If you are looking for short-term gain, you should avoid these machines, as the standard payout percentage is less than for other slot machines. However, if you want to take a chance at the big payout give the progressive machines a try. Almost all casinos offer slot clubs, or players clubs. When you sign up you get a card that you insert into the machine. When you spin the reels, you earn points that can later be redeemed for gifts or comps such as free trips to the buffet. Always sign up for and use this card when you play slots in a casino.